Obituary for Joseph Edward Zimmerman, Sr. | Maloney Funeral Home, Inc.
West Hartland: Joseph Edward Zimmerman, Sr., died peacefully at his home at the age of 97 after an extended illness. Born in Riddlesburg, PA, he was the son of the late Andrew J. and Anna J. (Liptak) Zimmerman, he later moved to Torrington, at the age of 6 where he graduated from Sacred Heart School. 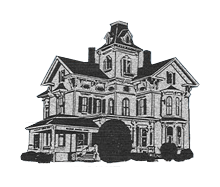 In 1938 he joined the Civilian Conservation Corps, stationed at Camp White in Barkhamsted. He was drafted into the U.S. Navy in 1944 and was stationed in Clearfield, UT and Hawthorne, NV. While in Utah, he met and married Donna Morrill who was raised near Torrey, UT. 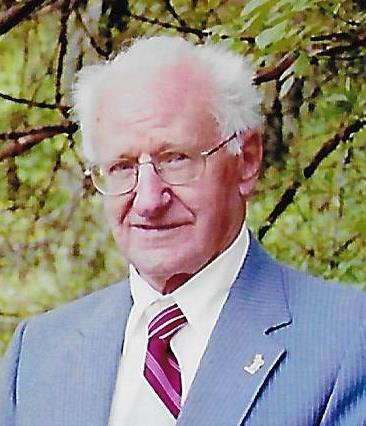 After discharge, he worked for Connecticut Light and Power until his retirement in 1981.Joseph was a founder and past president of the Litchfield Hills Amateur Astronomy Club and past member of the West Hartland Volunteer Fire Department. In the late 1980's and early 1990's, he and Donna helped build St. Anthony of the Desert Roman Catholic Church in Torrey, UT. Joe loved giving talks on astronomy, dancing, gardening, traveling through the U.S., nature, and his family. Later in life, he wrote a book about himself and his life memories, from different journals he kept throughout his life. He liked slow 40’s music, he enjoyed cowboy music, movies and the south west. He is preceded in death by his loving wife Donna who died in 2000, his parents, brothers and sisters, several nieces and nephews and Elizabeth Janis, a childhood friend who became his companion after his wife's death. He is survived by his children, Joseph E. (Jean) Zimmerman, Jr, of Falls Church, VA, Gerald A. Zimmerman of West Hartland, Sr. Mary Joseph (Sandra M.) Zimmerman, D.M., of New Britain, 4 Grandchildren, David (Yue), Michael (Kelly), Susan & Steven Zimmerman, and 3 Great Granddaughters, Taylor, Abigail & Isabelle Zimmerman. Funeral services will be held on Saturday, May 12, 2018, 9:30 AM from the Maloney Funeral Home 55 Walnut Street, Winsted, to St. Joseph Church for the funeral liturgy at 10:00 AM. Burial will be in St. Joseph new Cemetery. Friends may call at the funeral home on Friday from 6:30- 9:00 PM. In lieu of flowers, donations may be made to the Daughters of Mary of the Immaculate Conception, 532 Burritt Street, New Britain, CT 06053. To leave an online condolence, please visit www.maloneyfuneral.com.